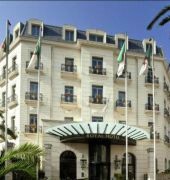 The Royal Hotel is a 5 star property located on the prestigious Boulevard de la Soummam in the city of Oran. 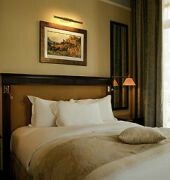 The hotel is situated in the city centre, close to Le Theatre, Dar el-Bahia, and Place du 1er Novembre. Each luxurious guestroom is decorated with oriental paintings and ancient books from the owner's personal collection, and includes modern amenities such as flat-screen TV with cable channels and complimentary WiFi access. 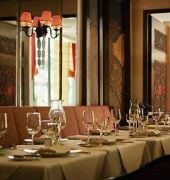 The hotel is home to 2 restaurants serving a variety of local and international cuisines. 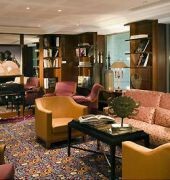 In addition guests can enjoy refreshments in the stylish lounge bar. 24 hour room service is available. Leisure facilities at the hotel include a fitness centre and a full-service spa with a sauna / steam room. Business amenities consist of a 24-hour business centre, secretarial services, and technology support staff. 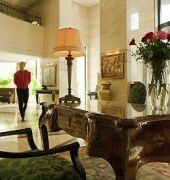 The Royal Hotel Oran is approximately 20 minutes drive from Oran Es Senia Airport, with a free shuttle service is available on request.